Pension benefits are often assigned as part of a divorce. 2. Can Alimony Be Deducted From Your Social Security Retirement Benefits? Pension benefits can be assigned in certain circumstances to people who have a right to receive these benefits under the law, generally current or former family members. Some companies will loan you money based on repayment from future pension benefits, but you cannot formally assign your benefits to these companies, allowing direct payment that is legally enforceable. An assignment of benefits must take place with a legal court order. A QDRO is an order that specifies how a retirement plan is to be divided, usually in the case of divorce, but it is also used to determine the division of pension benefits to pay for child support. 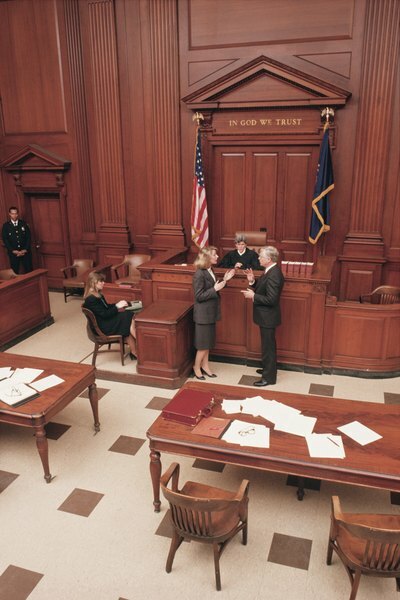 The QDRO is a legal document and has the force of law when correctly executed. This legality takes full effect when the administrator of the retirement plan examines the document and determines that the document is a qualified order based on the criteria of the retirement plan and the laws in the state that the issue is ordered. A QDRO is issued most often by a state court, typically in a divorce, but it may also be issued as part of a child support proceeding. The order does not need to be issued by a court; it might also be issued by a state agency with the authority to do so. An agency must be legally able to issue judgments, decrees or orders, or it must be legally able to approve property settlements to issue a QDRO. A QDRO must contain certain language and items to be "qualified." The order must have the names and last known addresses of all of the parties subject to the order. It must also mention by name each retirement plan that is subject to the order. The division of the benefits between the plan participant and alternate payee must be detailed, either by specific dollar amounts or by percentages of account balances or monthly payments. The order must also specify the amount of time that it applies for or the total number of monthly payments subject to the QDRO if it is dividing a monthly pension benefit. Who Can You Assign Benefits To? The law is specific with retirement plans and assigning benefits to ensure that you receive the benefits that you have earned or funded for your retirement. To be a legally enforceable order, it must create or recognize a recipient's right to receive benefits. Benefits can be assigned in a QDRO to a spouse or former spouse as well as to a child or dependent of a plan participant. Most retirement plans and laws do not allow you to assign pension benefits to any other person or entity.